Golden armor is very weak, as gold is a soft metal. That's why you make Diamond armor, or at least Ruby/Emerald/Sapphire. you... won one hundred Internets atlas XD!!! But it seems to be elven armor from skyrim..? 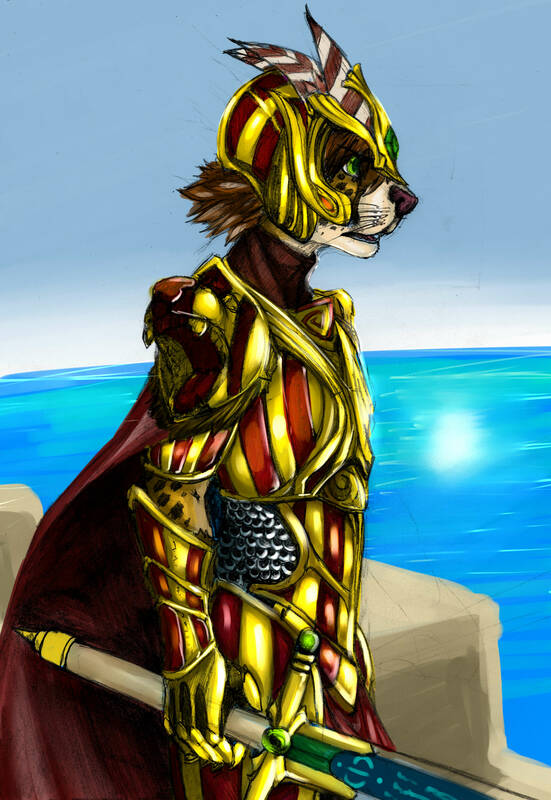 And yes, kids: many suits of armour were brightly painted IRL,way back in Ye Olden Days.